The tropes of role playing games can really help when you’re looking to make your game as unbelievably simple as it can be. We’ve already mentioned the archetypes of race and class, which after decades have become shorthand not only for what a character can do, but how he or she is expected to act (you know exactly what a dwarf paladin is as soon as you read the words. Same for half-orc ninja). But there are other tropes that can shape your game, too, and, depending on the tone you’re going for, can be folded into every game session. A movie cliche for years, this is the series of scenes showing the characters getting ready ― training for battle, building the ultimate vehicle, plotting the heist, even going on dates with not-quite-the-right-guy. If all the characters agree to be part of a montage, each one describes what they’re doing during the montage. After the montage, each player gains a +3 to any one die roll related to what was happening in the montage. This can happen only once per game; after all, a montage song is expensive, and the movie studio can’t afford to buy two of them. The mysterious man in the corner of the tavern told the party about the dragon’s hoard in the nearby cavern. The heroes are gearing up for battle. During the montage, the warrior sharpens his sword and lifts weights, the wizard’s hands crackle with electricity as she practices spells, and the thief slides daggers into his boots. A synth-rock song plays in the background. When the dragon rears its head, the song’s chorus echoes in the cavern. The warrior gains a +3 to his first sword attack against the dragon. Mooks are, of course, the faceless, nameless troops of the bad guy, all in the same outfit: COBRA, Imperial Stormtroopers, orcs, various aliens, etc. They’re meant as more of an obstacle than a threat, a way to introduce action without draining the heroes’ ammunition, powers, or health. The traditional way to represent heroes wiping out armies of mooks is to give them 1 hit point each. If you’re using miniatures rules, you might want to give them 5 hit points each, so they stick around long enough to get placed on the battle mat. For an extra-violent (or extra-silly) take on mooks, a hero’s die roll in combat isn’t compared to the opponent’s defense roll, like it normally is; instead, the attack automatically hits, and the total rolled is the number of mooks annihilated that turn. The aliens come swarming over the hill as their queen scuttles behind them. The heroes grab their guns and open fire. An Action roll of 6 is enough to defeat the alien’s 4; it falls to the ground. One less beast to deal with. In a “serious” game, a hero’s death is very final. When the hit points are at zero, it’s time to create a new character. But other settings — superheroes, robots — are meant for heroes who don’t really die. In those kinds of settings, a hero at zero or fewer hit points just falls out of action (unconscious, or simply out of the line of fire, no longer a target for enemies). And a deathbed vow can revive them. Once per game, any hero can give a brief speech while next to or touching a character who’s at zero or fewer hit points. As long as the speech includes phrases like, “He was the best of all of us,” (even if he wasn’t) or, “Your sacrifice will not be forgotten,” the character will immediately regain half his or her total hit points. It’s a special kind of healing that can be done for the victim once per game session (hopefully a character won’t need it that often!). “Commander! Say something!” called out Private Jackson, leaning over the officer’s bloody body. “You took that bullet for me, I can never repay you…” The commander opened his eyes and reached in his pocket. He pulled out a small Bible with a bullet through the middle. “Always count on the good book, son,” the commander said, and stood up. While writing stats for Star Wars and Superhero characters, I discovered something: the “spend 4 Gear Points” character creation rule doesn’t quite apply to movie and comic characters the way it does to RPG heroes. Most screen characters have a single favored weapon, and no armor, especially in modern-day or future settings. Unspent Gear Points are added to Narrative Points, which makes sense, given the amazing things most heroes do regularly. But a game master could also go back to the basic USR rules, and just give characters the equipment that seems appropriate for them. One hero might have a single sword, while his partner carries an entire arsenal of guns ― if the story they’re telling is still fun, there’s no need to “balance” heroes with Gear Points. What’s your favorite movie montage? 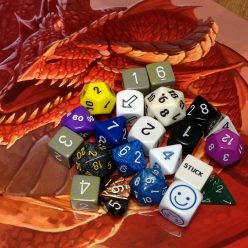 Older versions of Dungeons & Dragons have rules for younger or older characters, which basically boil down to: older characters have more mental ability but less physical ability, and vice versa. Very young children (under 10) are not playable because they can’t keep up with adult characters. But of course there’s plenty of child-focused action-adventure fiction: “PJ Masks” and “Stranger Things” on TV, Power Pack in the comics. RPG rules adjusting character stats to account for age do seem to be a thing of the past. So instead let’s look at a few potential settings for young and old heroes. Like animals, kids can see the supernatural when adults can’t. They can peer through the mystical illusion created by ghosts which makes them invisible, and the one cast by vampires which hides their undead nature. Kids know the truth; getting adults to believe them is difficult, so a lot of the time they have to stop the monsters on their own. 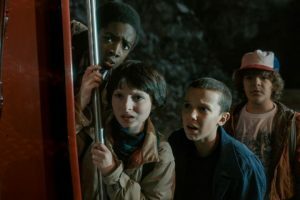 A secondary trope of this genre is the power of belief; a child’s courage or fear is more “pure,” more powerful, than an adult’s, which is tempered by skepticism and being too busy to think about things like monsters. The 1987 movie “The Monster Squad” and Stephen King’s “It” are the models. In both of these “Kid” settings, the children are as competent as adults, if not more. Giving them lower stats or fewer Specialisms would be a punishment, and not really represent the characters as seen in fiction. Instead, the players should be challenged not by game mechanics, but by societal rules that hamper what they can do. A young character can’t get anywhere he wants to go, unless he can ride his bike there, or get someone older to drive him. A young character isn’t old enough to have a credit card… but she has resources, if she’s good at using the internet (in a setting where it exists). A bank robbery or a sting operation is fun to watch on screen ― as long as the team making it happen knows what they’re doing. The best way to guarantee the heist happens like clockwork is to bring in the long-experienced experts. Start characters at level 4 or 5, toward the top of the Domino Writing-style experience track. Pick skill Specialisms like Hacking, Lock Picking, and Getaway Car Driving. The heroes will be able to accomplish almost everything, but remember that the difference between the die roll result and the Target Number can tell the game master how well they accomplish a task: Say there’s a thief making an Action roll against a Target Number of 6, to sneak past the guards. On a result of 12, he gets past them easily. On a result of 7, he still gets past them, but not without making a little noise ― cut to a scene of the guard radioing to his partner that he’s going to investigate a sound (on a result of 4, the guard wouldn’t hesitate, he’d just sprint over to where the thief is). There’s an old saying: Old age and treachery will always overcome youth and skill. Everyone in a royal court is scheming to increase their power and influence, but it’s the veterans in the palace who have the connections, the money, and the ruthlessness to succeed. A character in this setting should put the d10 in the Ego stat, then follow up with the d8 in Action (for former generals) or in Wits (for master courtiers). Heroes don’t fight the battles; they send poor saps out to do the fighting. A die roll in this setting isn’t about quietly, carefully assassinating a foe ― it’s about how convincing the character is in pretending to grieve the “mysterious death” of a rival the next morning. 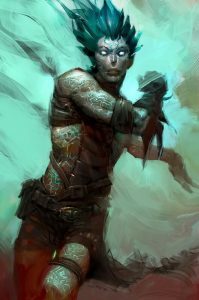 How old will your characters be? I didn’t post last week because I was really sick, and I’m just now recovering, a week and a half later. Last Wednesday evening I watched the hours slip away, knowing I wouldn’t get in front of the computer that night. But it did inspire this week’s post. 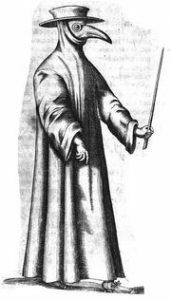 Disease is something that’s not often used in role playing games; in traditional fantasy RPGs it’s no challenge at all, easily overcome with a spell. In contemporary or modern settings, technology like medicine or super-healing machines eliminates disease quickly (not quickly enough for me, unfortunately). No matter what the setting, having a character slowed to a crawl by an illness usually means you can’t tell a fun story… unless you describe it the right way. The simplest way to represent disease is as a weapon — think of post-apocalyptic mutants carrying plagues, or evil druids spreading contagion. If an actual weapon, like a tainted sword or corrupt spell, is used to deliver the disease, the attack delivers its normal damage. If that attack is a hit, the effects of the disease also take place, usually a penalty of -1 or -2 to stat rolls: Action (physical illness), Wits (affected mental performance), or Ego (impaired social interaction). The penalty lasts as long as it makes sense in the story. To represent long-term disease, something that has an impact on a character without interfering with adventuring, try stepping down Hit Points. After the character first contracts the disease, make an Action roll against the Target Number of the disease (usually 7) to fight off its effects. A Specialism like “Very Healthy” or “Antibiotics” could help on the roll. On a failure, the character loses 5 total Hit Points and 5 current Hit Points. If the character’s total Hit Points fall to 0 (zero), he or she is dead. On a successful roll, the disease gets better, and the character regains 5 total Hit Points — but not current Hit Points; he or she still needs recovery time. When the character is back to his or her actual total Hit Points, the disease is completely cured, and no more rolls are needed. Repeat this disease/healing check as often the game master decides is appropriate; once every two or three days of game time is realistic (that’s how often I felt incrementally better this past week). Extremely intense moments, like combat with “boss” monsters, may call for disease checks too, as the character suffers major strain. A disease can also be the trigger for the adventure: find the magical fountain of healing, or the special medicinal ingredient located deep in the wilderness. Alternately, the disease could be the villain, where the heroes have to retrieve a vial of lethal plague that was stolen from a medical research lab before it’s released in public, or unrest grows in a war-torn country as doctors struggle around-the-clock to come up with a cure for a deadly disease — can the heroes buy them enough time to do their work? How will you use disease in your USR adventures?